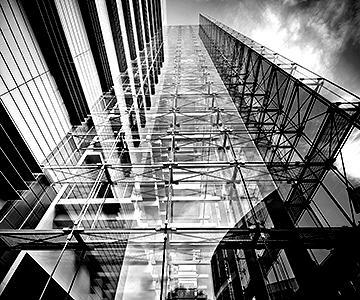 Whether you are buying or selling business premises, a development site, or an investment portfolio, or whether you are a landlord or a tenant of commercial premises, our team of commercial property specialists understand the importance of working closely with our clients to carefully manage their objectives, throughout their commercial property transactions. We take the time to ensure that we understand your objectives at the start of the transaction, so that we can offer sound commercial and technical expertise. Our proactive approach enables us to ensure that your commercial property transaction proceeds as quickly and as smoothly as possible. We can assist with all aspects of your commercial property transaction and we have strong working relationships with valuation surveyors, estate agents and property developers, which allows us to provide a cost effective service to all our clients across the UK. including: negotiating new business leases; break clause issues; lease renewals; lease assignments; and licences to occupy. including: site acquisition; plot sales; mixed use developments; new build projects involving, building contracts, sub-contracts and warranties. including: listed building consent; tree preservation orders; contaminated land; and waste management issues. including: service charge issues; claims for dilapidations; and applications for sub-letting and assignments. including: advice on business property relief on family-owned commercial property, mezzanine financing, and inheritance tax. We are appointed as panel advisor to a number of banks and building societies. We act regularly for Lloyds TSB, Natwest, Royal Bank of Scotland, Halifax, Santander, Virgin Money, Leeds Building Society, Woolwich/Barclays, Yorkshire Building Society and many more lenders. To speak to a member of our Commercial Property Team today, please get in touch on 0161 740 4918, or alternatively, please complete our online enquiry form.